. . . no small feet: And she's self taught! I would be totally annoyed that nothing has happened for three weeks. BUT - it is looking so good!! Hang in there! And if the daughter was say 35 and had been doing this for years then it might be okay to tell people she's self taught. Until then, it's probably best not to mention that. I am thankful that the kitchen is at least functioning. Although we still can't get the freezer to make ice. 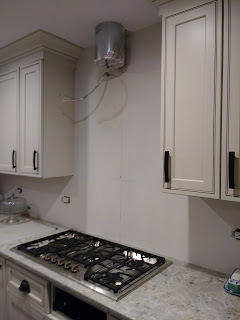 The contractor is supposed to have a plumber check the line for issues. If there are no issues, then I call the appliance place and they will come out. We haven't had ice since August! Yes, I agree is she was an accomplished kitchen designer then brag away about her self-taught status. I do love her, and get along with her great. Just hate the bumps in the road. And...I LOVE the boots! Don't leave me hanging, who makes them? Their billing has become, um 'creative' which is making me come unglued. More on that in my next post . . . The boots are by Fly London. They make very pricey, very comfy shoes. 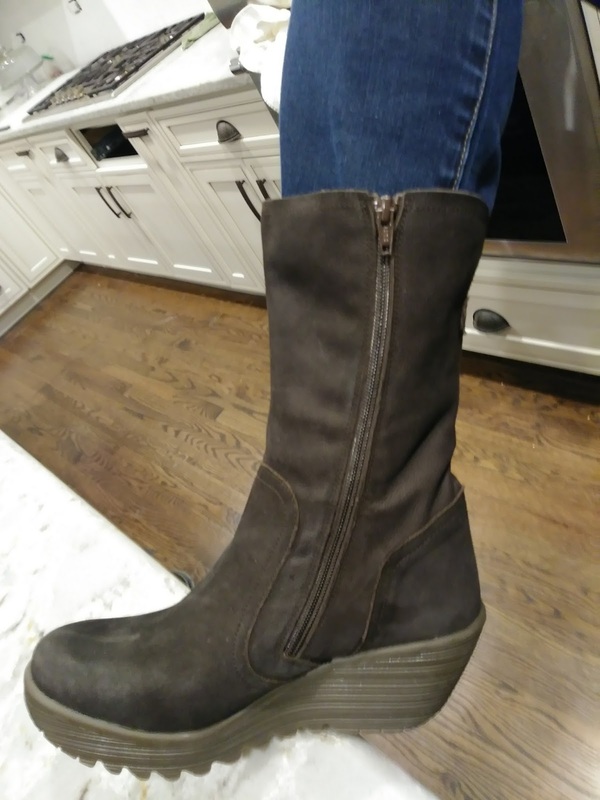 I own another pair - both bought on sale. Love them! They are like orthopedic shoes minus the granny look. 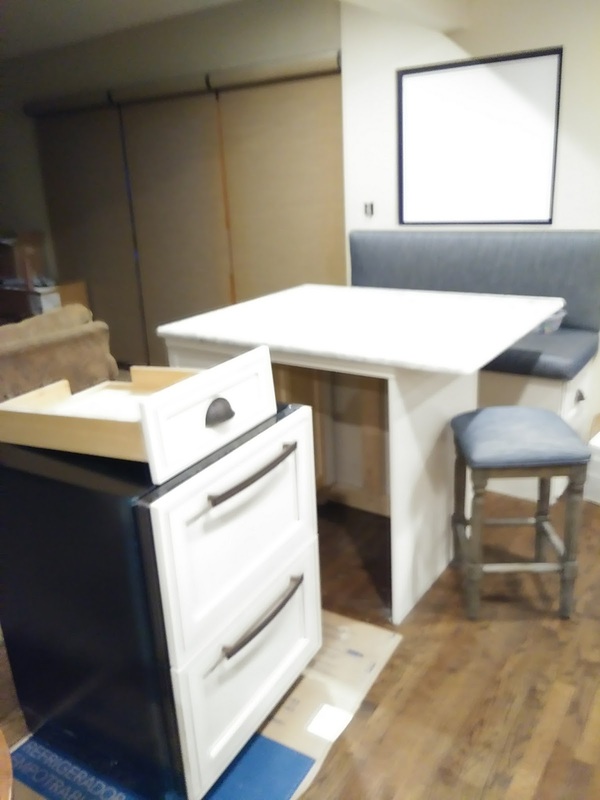 Kitchen renos are the worst - hang in there, you are so close!! I have the same Thermadore Gas cooktop....clean it gently! I have almost scrubbed the black paint off around the knobs...maddening! We are close. 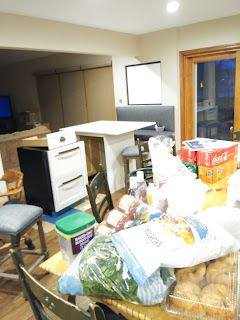 I keep wondering if I will have the energy to rearrange everything in the cabinets when it is done or if we will just have our food in weird places because that is where we stuck everything when it first began to function. And I found a few helpful tips on you tube for cleaning around the star burners - toothpicks and q-tips, who knew? !